Discussion in 'General TV Discussions Forum' started by 20hz, Jan 10, 2017. 3D isn't dead, in my opinion. It just moved from a social platform (TVs), to a more immersive, anti-social platform (HMDs). Yes, no major TV manufacturer is offering 3D on their flagships going forward. But 3D is still alive on HMDs (head mounted displays). 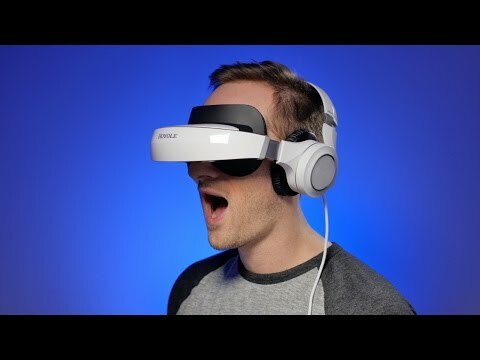 We have just gone from, enjoying 3D on your TV with friends and family, to enjoying 3D while wearing a headset that simulates a huge virtual cinema screen (*not the best video quality currently, but the technology will get there). In my opinion wearing a headset, whilst anti-social, offers a more immersive 3D experience than watching 3D on a TV. It's going to be a LONG time before head mounted displays achieve the same video quality as high-end TVs - in fact, they probably never will. Modern VR headsets are designed for immersion, so the display occupies a large part of your visual field. Oculus Rift and HTC Vive have a 110 degree viewing angle. The display they use is a 2160x1200 OLED panel. That's divided in two, so each eye sees 1080x1200; and, incidentally, it uses a PenTile sub-pixel structure (meaning the red/blue resolution is lower than the green resolution). Even if we ignore the PenTile issue, that's still 1080 pixels spread across a 110 degree angle. Currently I use a 65" 1080p TV, viewed from about 9 feet away. That means 1920 pixels are spread across a horizontal angle of roughly 30 degrees. So, to get the same perceived pixel density as my 1080p screen, the headset would need to have six and a half times as many pixels as it actually has - both horizontally and vertically. 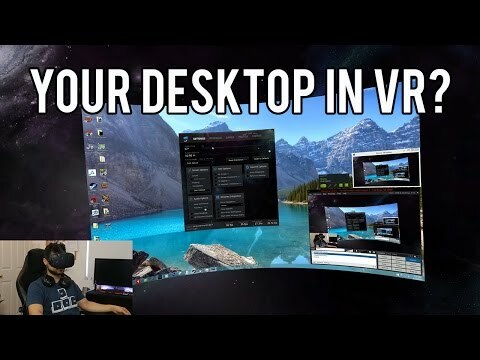 So, even if were possible to find a VR headset based on an 8K panel (instead of the current 2K) that still wouldn't have sufficient resolution to reproduce my 1080p television screen with no loss of detail. It would have to be based on a 13K panel to achieve that (6.5K by 6.5K for each eye). Will it ever be physically possible to make a 13K display? Even if it is, would you be able to make one small enough to fit inside a VR headset? And if you could, how much would it cost?! And how much processing power would you need to be able to a drive a VR display that has 40 times as many pixels as current headsets do? Moore's Law is already in deep trouble; it's conceivable that there will never be a consumer-grade video card capable of driving that many pixels. And that's before you start to consider the *performance* of the display. The panels in VR headsets tend to be much more similar to something you'd find on a smartphone than to something you'd find on a TV. How does the average smartphone screen compare to a high-end TV in terms of colour accuracy, grey-scale accuracy, contrast ratios, motion handing, etc.? Have you ever to tried to ISF-calibrate a phone? And on top of *that*, apparently the reason people don't want 3D anymore is because they can't be bothered with the glasses. You think they're going to be fine donning a full VR helmet instead? 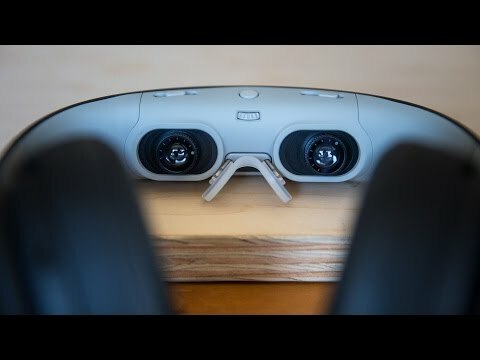 If such a device were possible, it would certainly be very cool - the same gadget could almost as easily provide you with a virtual IMAX cinema! - but I seriously doubt we'll ever see such a thing in the real world (except perhaps as a toy aimed at multi-millionaires). It uses twin 720p OLED displays and the quality is excellent. However as Nicolas suggests; the VR market is likely to be little more than a niche for 3D viewing. Technical quality aside; the VR display needs to be marketed as 3D ready. They need to be easy and comforatable to use and have direct HDMI inputs. They also need to sell in vast numbers to people who want to watch 3D movies not just play VR games. Frankly I can't see it happening no matter I want it to. The move to end production of 3D capable displays will kill 3D completely. As TV's age and fail; they will be replaced by non 3D TV's. The 3D market will shrink and the studios will abandon 3D Blu-ray releasing. Probably sooner rather than later. Not because there isn't a market for it now; but because it will become a self fulfilling prophecy. The likely hood is that those of us of 'a certain age' will never see 3D again. SELL ME YOUR 3D BLU-RAYS !! Your link got a little messed-up, there, Drongo. But yes, it is certainly possible to make a dedicated personal 3D movie viewer using present-day tech - something that simulates a screen in the distance, and has the screen move with your head rather than remaining fixed in virtual space when you turn. But a device like that is far less useful (if not entirely useless) for conventional VR use; it would have to be marketed solely as a 3D movie viewer. And as Drongo says, if no 3D TVs are being sold, it won't take long before they stop making 3D blu-rays. In my original post I wrote; *not the best video quality currently, but the technology will get there. There's a lot of innovation in technology these days. Towards the end of 2015 there were rumours of a wireless HTC vive on reddit, and people posted replies arguing that it would be very difficult for them to sort out latency issues, ETC. Just over a year later, and HTC have a wireless vive solution. I'm not saying that HTC only took a year to work on a wireless solution. All I'm saying is that I was reading posts as recently as the end of 2015, where people doubted the viability of a wireless vive headset. And yet here we are. Some things seem like they might be years and years away from becoming a reality, but innovation in all areas of technology seems to be advancing very quickly. 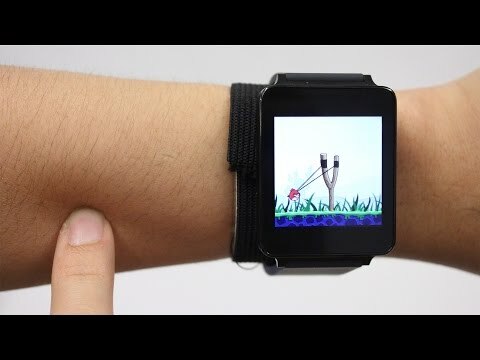 For example; take what Carnegie Mellon University students have done with an LG smart watch. Even with a video demo of this technology, i can understand if people still thought it was witchcraft. The question is why would we want that? A definition higher than the human eye can assimilate! Already we have technical standards that are largely just marketing waffle with no evidence that broadcasters, streaming sources and disk producers are ever likely to supply material to support them all. Film companies are still churning out 2k material for cinemas and then having to upscale it for 4k Blu-ray disks which they charge premium prices for. People really are suckers when it comes to having the latest tech. It simply has become technology for technologies sake. Just another way to kid people into shelling out for the latest model. We get people on the Forum asking "am I watching HDR?". Well, if you cannot see any difference, why bother. 3D is dead and VR is over hyped. No-one wants to use VR to watch content other than techies who get a kick out of the novelty, Silicon Valley and it's drones in the tech press thought VR was going to be huge simply because of Facebook. But it's already showing signs of dis-interest as mobile VR doesn't really offer a compelling experience (the industry was banking on mobile not Steam/HTC VR). It turned out people didn't really want to strap something to their face just to watch a video that also cuts them off from everything else. Were video will be big is in AR/MR like Microsofts Hololens and Apple's own glasses which are rumored to be coming sooner than we think. Not cut off from outside world, no cables, virtual displays viewable through the glasses make a much more compelling and easy sell to consumers platform. This site shows some of the potential.